I love the Pacific Northwest. The State of Washington boasts some of the most diverse biozones on the continent, encompassing craggy and rugged coastline, sandy coastal beaches, the Salish Sea, the Cascade Mountains, the fertile Columbia River, Wenatchee, and Yakima Valleys, the rolling farmland of the Palouse, the Okanogan Forest, and the foothills to the Rocky Mountains. Born in Spokane, Washington, I spent the majority of my adolescence exploring the Palouse farmlands and the Rocky Mountain foothills. When it came time for college, my life completely changed. I’d been reading Clive Cussler’s adventure books about oceanography and shipwrecks through my teen years, and I couldn’t wait to live by the water. The University of Washington offered an Oceanography BS, and I applied and was accepted to the school. Nothing could have prepared me for Seattle. Fish other than trout to try, the towering Mount Rainier volcano standing watch over the city, people of diverse backgrounds and thought, a bus system that could get me anywhere I wanted to go, and trees everywhere. Arriving in September after a long, hot summer complete with water rationing, the autumn stretched on and on, deliciously warm with bright yellow and red leaves taking their time changing and leisurely falling. Then October hit. And the rain. Good Lord, the rain. Day after day after day. As November rolled around, the frigid and wet wind sliced through the thickest wool coat and chilled me to the bone. Thankfully, I was having my own romance at that time (25 years and counting), so I was kept warm and toasty both physically and emotionally. As I sit in a cool little café near Pike Place Market, I think back on all the adventures I’ve had in this remarkable city, and I’m excited to share some of those stories in my new series, Rain City Tales. 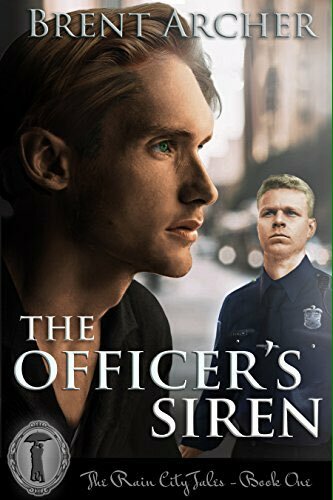 The Officer’s Siren is the first installment, and follows hotel security guard Mike Bryant and SPD Officer Jason Lynch as they navigate their way through the dangers of Jason’s job and the perils of Mike’s family. The second installment is now available for pre-order, Past Secrets Present Danger, and follows accountant Roger Matthews navigating his partner SPD Officer Paul Tomlinson’s secrets when he lands in the hospital after a shooting. You can order Mike and Jason’s story The Officer’s Siren here, first book of the Rain City Tales Series. Checkout Brent’s website for more details on upcoming books. “My truck’s been stolen,” Mike grumbled. Mike gave the operator the make and model of the truck, and his location. After ending the call, he waited on a plush seat by the crackling gas fireplace. His phone dinged as he fought to keep his eyes open, and Mike glanced at the screen showing an update to his news stories notifications. He nearly missed the cop’s entrance, but he glanced up in time to see the tall officer, the weight of exhaustion temporarily dispelling. Early thirties, the blond hair, cropped on the sides but long on top, framed a rugged face. His intense blue eyes scanned the room. The crotch of Mike’s slacks stirred as he took in the handsome specimen in front of him. The officer’s muscular arms bulged from of his regulation blue shirt, a sturdy chest stretching the fabric. His classic V waist led to long legs. Mike took the paper and scribbled in the required information. He tried to keep his attention on the form, but found himself more focused on the officer. Just as he finished signing his name, he glanced at the blond cop. Their eyes locked, and a smile slid across Lynch’s face. Heat rose into Mike’s cheeks. Relief washed over Mike. He extended his hand. “Thank you.” Lynch grasped it in a firm grip and shook. Mike’s eyes opened wide as a finger rubbed along his wrist. Lynch nodded. “I’ll be sure to call you.” He smiled, winked, and strolled out the door. As he stumbled back to the chair by the fire, Mike’s knees nearly buckled. He plopped down, trying to get his erection to subside. “He did this.” Mike took Isaac’s hand and rubbed his finger along the wrist. 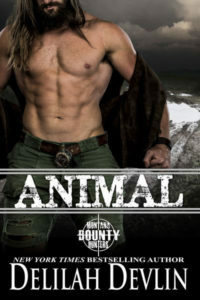 Brent Archer began writing in 2011 at the nudging of his cousins. His first story sold, and he was hooked! The third and final installment in his Golden Scepter Series, The Hurricane’s Triangle, will release on November 28, 2017 with MuseItHOT Publishing. Preorder it here. 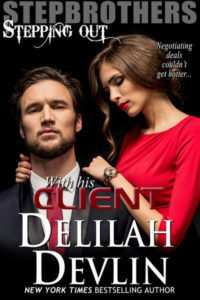 Visit his website to keep up on upcoming releases, and follow him on Twitter: @brentarcherwrit. This entry was posted on Thursday, November 16th, 2017 at 7:02 am in General. Tagged: contemporary romance, GLBT, Guest Blogger, police. You can feed this entry. Both comments and pings are currently closed. This sounds like a good series!